whichever prompt you now have simply enter echo $HFS if in *nix or echo %HFS% if in windows. ** NOTE ** Windows users may get a slightly funny looking value such as… C:\PROGRA~1\SIDEF~1\HOUDINI~1.101 –this is a legacy DOS 8.3 FAT name or DOS SFN — What this means and why it exist is beyond the scope of this post, but suffice it to say, if too difficult to decipher actual location, simply put the SFN into the windows explorer address bar and [ENTER] and it will resolve to the actual location. replacing “installed path” with your installation path, “scheme file” with either 3DSceneColors.wb (if altering Dark) or 3DSceneColors.bw (if altering Light) and 12.x with 12.0 or 12.1 (most likely works in earlier versions but is untested). at the top of the file control the gradient, and further down …. .. .as noted, controls the grid color, which in most cases will also need to be changed to keep it from getting lost in the gradient colors. If editing Light scheme you might be surprised to learn it already has a beyond subtle gradient. Feel free to play around with the RGB float values, but remember to save and restart for changes to take effect. That should about do it. If you want two gradient themes you can override both the light and the dark themes. If you mess up or a lot of warning get spit out on Houdini load, you can always copy a fresh version of the file back to $HOME/houdini12.x/config and give it another go. Happy customizing! This post is the first in “Tips and Tricks” (TnT), so pretty basic and no scripting required. 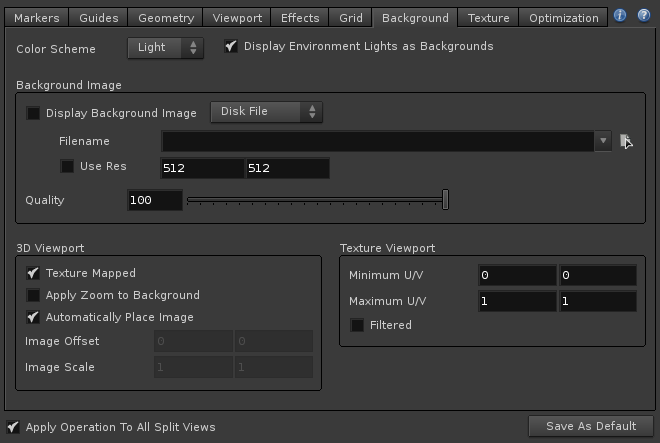 A recent 3D app trend is to have the viewport gradient shaded instead of a solid color ala Mudbox. Wouldn’t it be nice if a similar viewport effect could be toggled on in Houdini ? Fortunately, Side Effects provides a solution although the GUI is absent. Not to worry, a few simple steps and a basic text editor like can have provide this nicety. Houdini provides detailed config options, largely done with text files. If you know your way around *nix, it’s likely a familiar configuration option. These files come in many forms including XML, JSON, name-value pairs. Some, such as menus, append or alter files of lower precedence in the path with the same name while others override. If this sounds a little confusing, it’s just provided as background for those interested. For single user environments (and most multi-user) the highest precedence configs reside in $HOME/houdini12.x/config. No scripting ability needed to follow along, and the files that will be edited will override lower one completely. 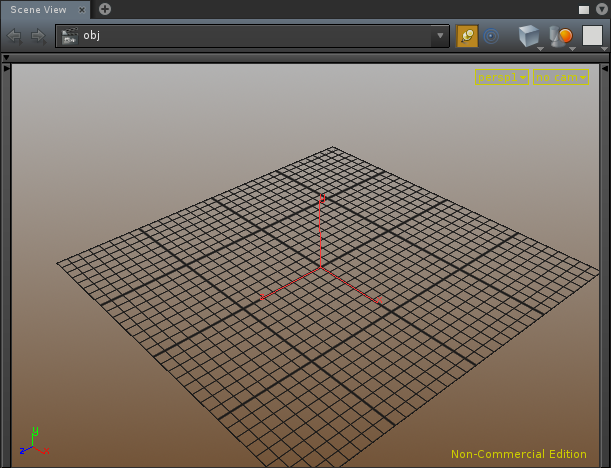 First inside Houdini, mouse-over a viewport on a scene/context tab press ‘d’, to bring up the viewport display properties, then go to the background tab. There’s a “Color Scheme” menu with options for “light” (grey) and “Dark” (black). Unfortunately, although the reason isn’t clear, there is a limitation in that there can only be these two schemes — One (or both ) will have to be sacrificed for the new gradient, so best to pick the one least used. Another limitation (if anyone knows otherwise please email me), unlike the GUI color scheme there is no way to force refresh it without restarting Houdini. But don’t restart yet. ** NOTE ** I had previously employed a more complicated alternate method for the gradient that lacks these limitations, but introduced other drawbacks. If theres an interest I might write a follow up post, but suffice it to say the ease and simplicity of the method outlined here tends to make it preferable. ** NOTE ** As the modification alter the default schemes, and this is a configuration tip, there is no download included. The next section will detail a few easy steps to get this viewport customization.